"The Awen I sing, from the deep I bring it." - (Taliesin). 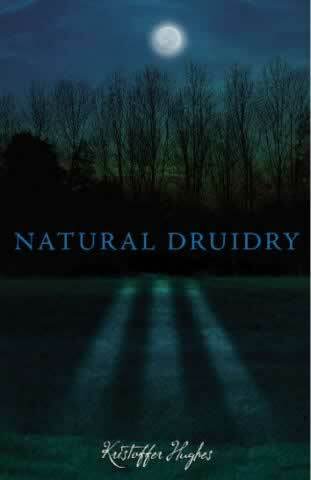 Natural Druidry is a deeply personal account of one man's journey through the dappled groves of culture and tradition. Exploring the inspiration of Druidry through the eyes of a man in love with heritage and the land, Kris takes you on a journey into the mysteries of the Druid tradition, into the shadows of the past and the magic of Druidry. Written with simplistic clarity, humour and tears, Kris invites you to share his journey through tradition, descending into the mysteries of Druidry and of its practise in the twenty-first century. Exploring the fundamental principles of Druidry from ritual, connection, mythology, shamanism and finally a personal ride through the Druid year. Share in a world of wondrous beings, of sheer potentiality beyond comprehension, and the awe and childlike surrender one feels when confronted with the enchantment of Druidry. Inspiration lies at the heart of this book, where the joyous experience of the flowing spirit of Druidry known as Awen; sings through dry ink. Journey with Kris into the magic of the past and the present, deep into the vast cauldron of spiritual enlightenment that sings from the land, that whispers to us upon the breeze as the breath of our ancestors.